The Microsoft Surface RT - Does it do the Business? The Surface, by which I mean Microsoft's new Slate PC in its Surface RT guise, is pivotal to the future of the mobile personal computing. A blinding success and the future of Apple's hugely profitable business would be seriously compromised. But if the Surface were an abject failure, the long term future for Microsoft itself would look pretty bleak. Make no bones about it, this isn't just another tablet like the various Android offerings that are now available, perhaps with the Samsung Galaxy Note 10.1 leading the pack. In terms of market trends, it's also plenty more important than Apple's slightly misjudged iPad 3, which drank a little too deeply at the altar of high screen resolution, or the mini iPad which seems to overcompensate with its fairly low resolution display, especially considering the price. The iPad 4 too, while it looks more promising than its short-lived predecessor, is just another evolutionary step in the fantastic iPad success story. What makes the Surface RT more important than the best of its competition is that it carries the banner for Microsoft's latest attempt to crack the mobile market - the new Windows 8 platform. In essence the product has to offer a bridge to the vast legacy of 3rd party applications built for Microsoft's earlier Windows operating systems while at the same time presenting a viable alternative to the entertainment and media consumption offered by the iPads and the Notes of this world. After having had life all too easy as the monopoly incumbent in the personal market for many years, Microsoft have been slow to learn new tricks. They have clung determinedly to the confusing process of offering different versions of the new platform in an attempt to milk business buyers with an expensive version at one end of the market while maintaining market share with the popular appeal of a mass market version at the other. The Surface is carrying with it the weight of quite a few compromises. 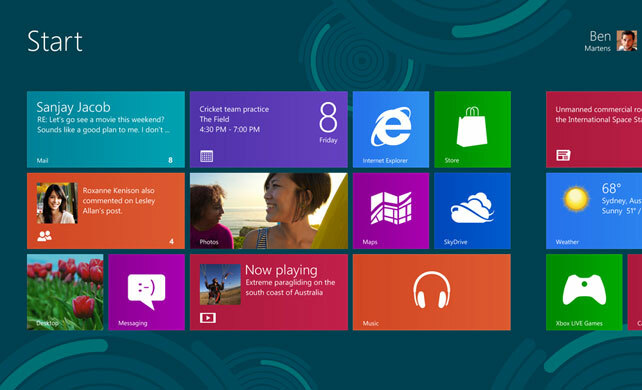 While the physical design of the Surface and what you might call the top layer of the Windows 8 User Interface (UI) have been well received, the rest of the story is not so sweet. First and foremost, the RT version does not run the fabled legacy software. That task has to wait for the Windows 8 Pro version of the Surface which will follow, apparently by early next year, and will sport the more powerful, and more power-hungry, Intel processor, rather than the lean and mean Arm processor, with its impeccable mobile pedigree, which is at the heart of the Surface RT, and incidentally, almost all the competing tablets. Second on the big issue list is that the App market available in Windows is small and exclusive. So far it hasn't reached 2% of the size of Apple's AppStore, or the Google Play Store. So, like the AppStore, it's a walled garden, where you can't get to install your own version of some special app if you needed too, but unlike the AppStore, it's a very small garden. And the third big hitch centres on the most crucial part of all Windows legacy software - Microsoft Office (a bundle of the ubiquitous Word, Excel and Powerpoint products). This is available on the Surface RT, but only in a licence-limited "Home and Student" version and as it's used we're presented with some of the same sad old dialogue boxes from all too many previous versions of Windows. So all in all, we aren't there yet. we can't bridge properly to the old legacy software, and we don't really have a wide enough choice of new games and entertainment products to satisfy the next generation users. From the point of view of a potential buyer, in most cases, the conclusion from all this is... wait and see what's coming next. In this, I would agree with CNET's full Surface RT product review. A possible exception to this rule is when buying for an actual student. Here the licence issues surrounding the Office software are irrelevant and the absence of quite so many games that might potentially interrupt serious homework, would probably be a good thing. And as for an answer to the big question, which way will the mobile market pivot, I suppose the jury of market opinion will be out for a little longer. The Surface looks like being neither a huge succes, nor a total flop. But this waiting is bad for Microsoft, who are already years behind the opposition and have just lost their Windows 8 team leader. The longer legacy software users wait for something new on which to run their systems, the more likely they are to opt for virtualised or remote access to legacy software in the short term followed by the rewriting of applications to run on iPads, or most likely on Android where they can stay outside all the walled gardens in future. So, while we are waiting to see, and the market could ultimately flip in favour of Microsoft, or against them, I'm going to risk my arm and make a prediction. Microsoft are starting to need a miracle to recover from the current situation - or at least a complete rethink of their Windows / Office marketing strategy. In my judgement, the miracle isn't coming - and Microsoft have just promoted the person responsible for perpetuating their old and muddled release strategy. So the marketing rethink isn't coming either. In short, Microsoft have blown it.